This globular cluster was discovered by Charles Messier on June 1, 1784. M 14 is about 30,000 light years from Earth and spans nearly 100 light years in diameter. 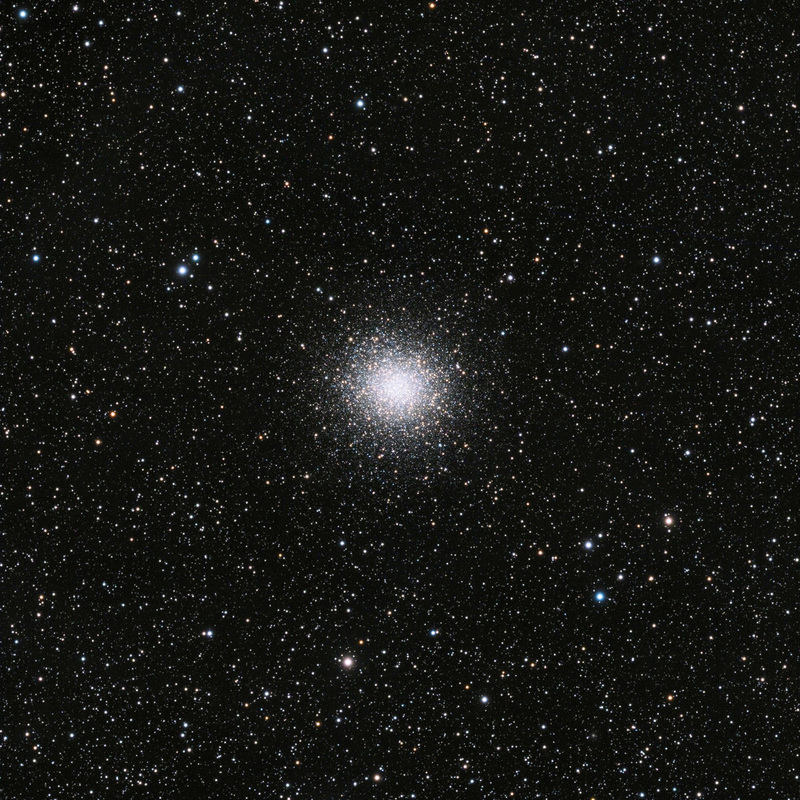 In 1938, a nova that peaked at magnitude +9.2 appeared in M14, only the second nova ever recorded in a globular cluster.